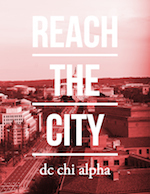 Neve graduated from Georgetown University in May and was a key member of Georgetown Chi Alpha. At Georgetown, she used to take care of Jack the Bulldog, the school mascot. She is now working with veteran affairs in the DC Metro Area. Those four years seemed to speed by, but as I look back at them through reflection and prayer, I cannot help but see God in every circumstance, decision, moment of laughter, tear cried, exam taken, and memory made. I found my faith at Georgetown. More specifically, I discovered my faith within the welcoming, accepting, and loving Chi Alpha family which became a community for me to ask the deep, hard questions and pursue on infinite God. And a few weeks before that I was handed a bubble tea in Red Square by a campus pastor. A few days later I was invited to a life group to share milkshakes and talk about what life is like as a Christian. I soon found myself asking questions, meeting for one-on-ones with staff, pouring through books, praying for the first time, and wondering if this was what I had been searching for, even without always knowing it. Two years later I was a life group leader, the GUXA “Fun Colonel,” a Sunday school teacher, and a proudly baptized Christian. So why do I give back to XA? Because it gave everything to me: a safe space to ask my questions, to be myself, to express my doubts and beliefs. It gave me a family and a home away from home. And more than anything else, it is where I became a Christian and rooted my life in my faith. My belief in Christianity and my relationship with God give me life and purpose. There is no amount of money or accolades that could ever equal the worth of God’s love. I give back because without XA I would never have known that. 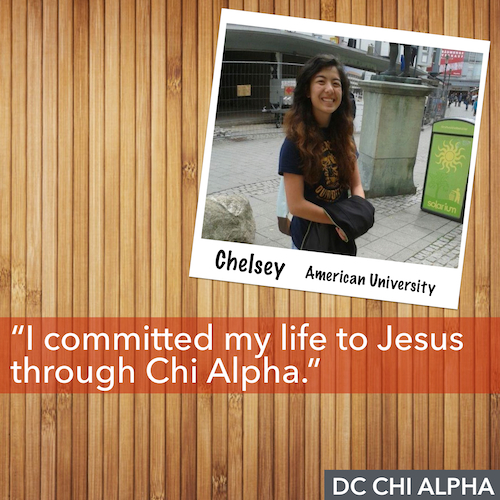 Through the simple acts of handing out snow cones, bubble tea, or a burger and starting a conversation, Chi Alpha leaders and staff very literally can change lives. I can make that claim because it changed mine.